The Allison Wonderland: sam and camden's engagement shoot. sam and camden's engagement shoot. sam: future purse holder at disneyland. on my second mother's day. oops, forgot to do an official 12 month post. sam's birthday party. part two. sam's birthday party. part one. The thought process here was "how can we make sure Sam and Camden have the cutest wedding ever (in 25 years)?" Answer: start taking engagement pictures of them now. I'm sure you came to the same conclusion too. 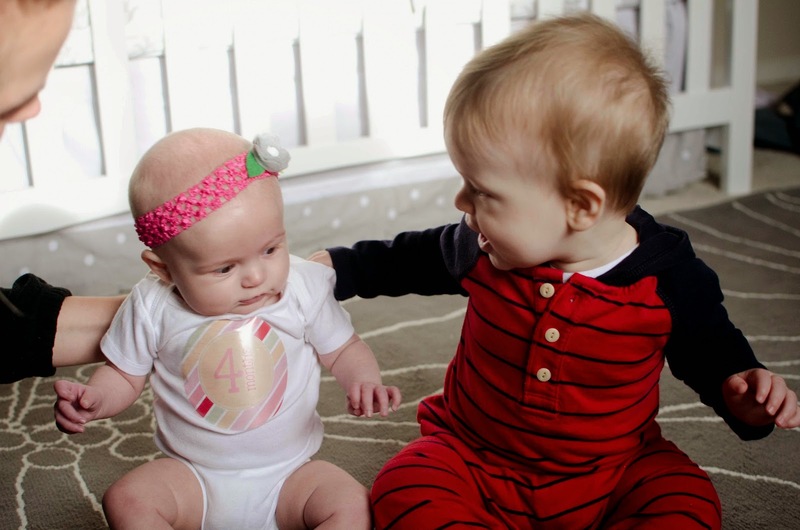 These two love each other something fierce and not in a "because we're friends our babies will be friends" kind of way. No no, these two are smitten. I believe it's totally a size thing. 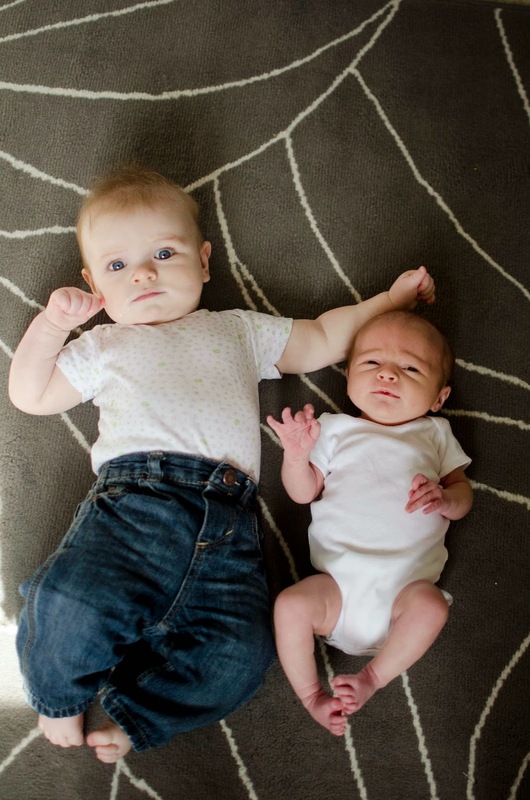 Camden is taken by the pure, raw baby physicality of Sam and Sam is enchanted by the daintiness of Camden. We can tell these things. There is no other lady baby that Sam is quite so gentle or soft with. And Camden, well, she's just a peach to everyone but Sam feels especially special in her eyes. Camden's Mom (aka BFF Emy) wanted some family pics so we all loaded up post nap time to take them. 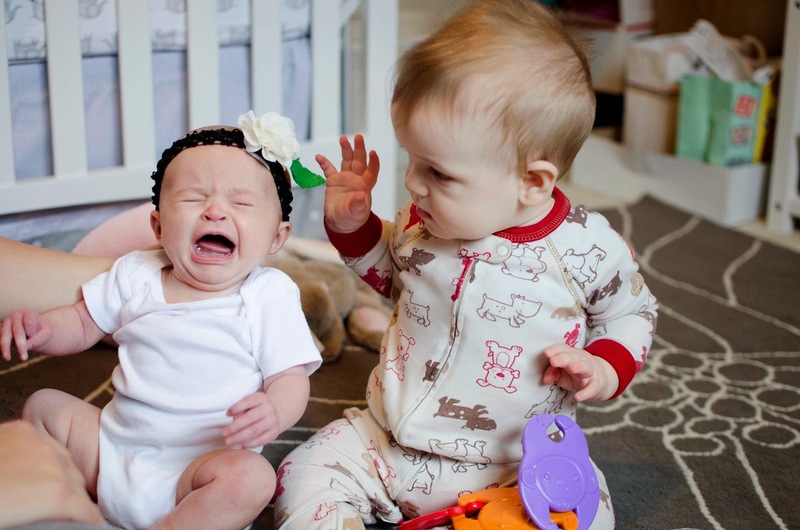 Sam came as a photo assistant but did a terrible job because his lady baby friend was just too focused on him. He had to be removed from the photo shoot by Father Charles. Sam returned to ooh and aaah and oogle when Camden was taking cute little girl pictures in a white chair. 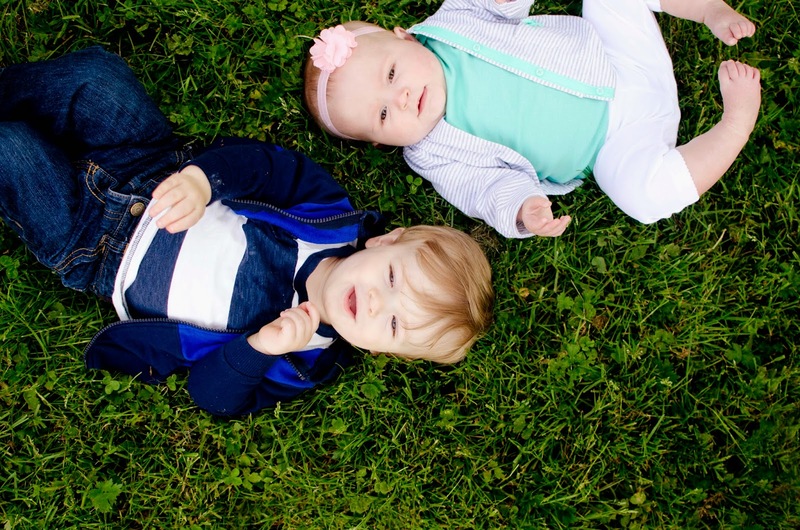 That's when we decided it was probably time to take their first official engagement photo at 12 months and 8 months old. And you're welcome for the joy this picture will bring to your life. Here's the thing. They lit up when they got to take their picture together. He had this air of pride standing behind her - I freaking kid you not - and she beamed to have him next to her. Look at his little legs. 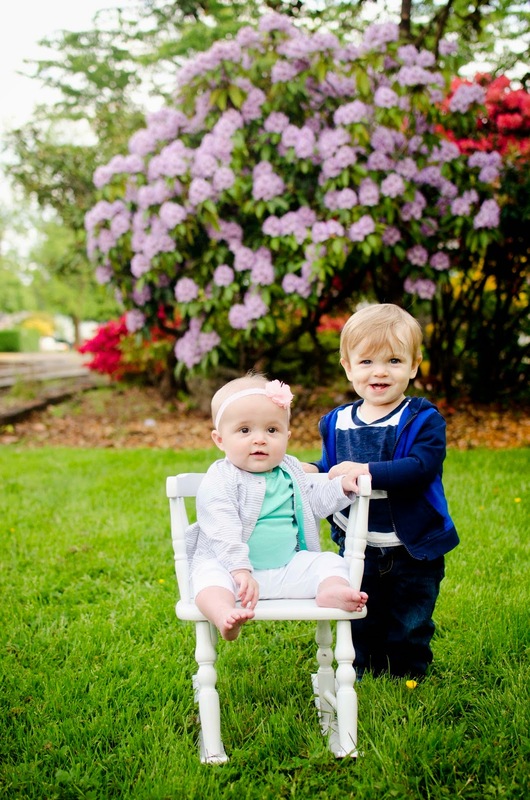 I'm sorry but this picture will be in a frame with their prom picture come 17 years from now. Gearing up for the cutest wedding ever come 2039. Also, while I have you here (because this is a riot), Lucas has an announcement that he is just beyond thrilled about. 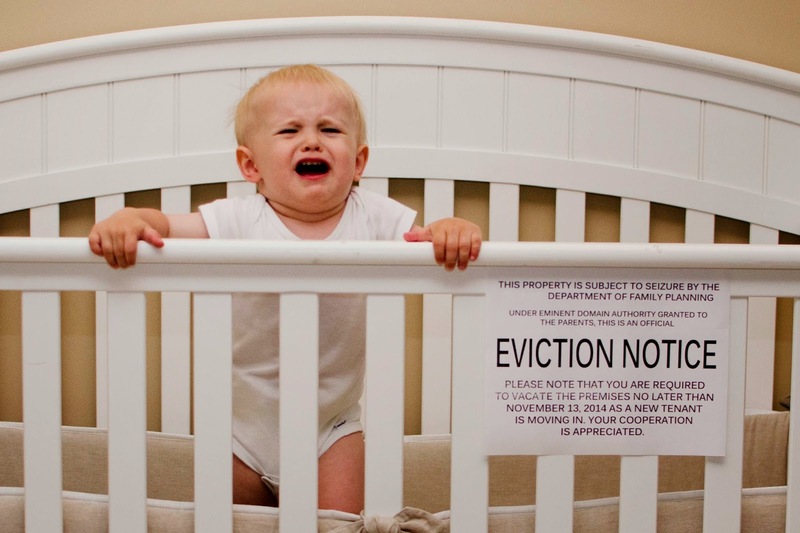 Yes, yes, that would be an eviction notice for poor Lucas. He needs to vacate his crib by November so the newest member of his family can arrive. For the record, Sam laughed the entire time this picture was taken. Great job supporting your friend during this emotional time, Sam. That is the absolute greatest baby announcement I've ever seen!! 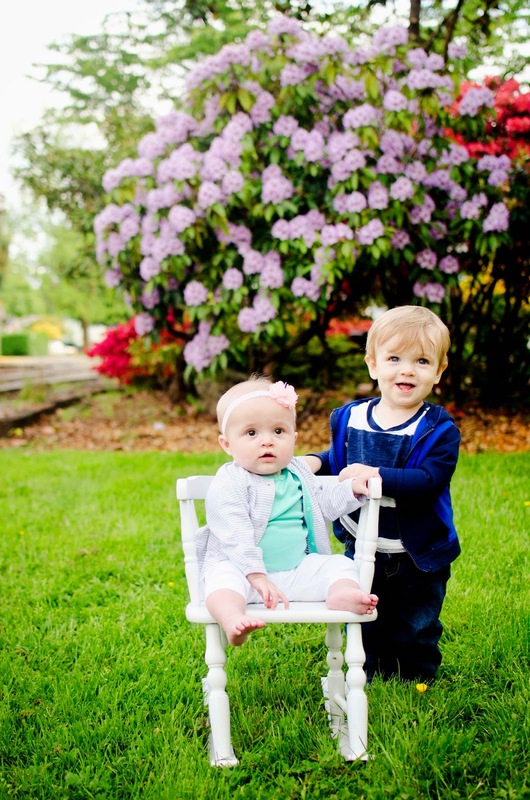 And Sam and Camden's baby engagement pics are to die for!! Love this post! Too cute! I'm praying for the day I can give Ellie an eviction notice!! I can't wait to see Sam and Camden's homecoming and prom pictures!! What a fab post! I do hope you're still blogging for their prom and subsequent wedding! What a pair of total babes.